Should You Use Baking Soda For Facial Cleanser? You could call it a "Baking Soda Renaissance"; as eco-friendly, budget-friendly alternatives to synthetic body products attract interest, simple household strongholds like baking soda are making a comeback. What gives this movement so much traction is that, in many cases, the simple alternatives work just as well as (and often better than) the expensive, store bought stuff. Using baking soda in lieu of shampoo has gotten the most attention, and its popularity has sent people looking for other ways to incorporate baking soda into their daily maintenance routine. Thus comes the question, "Can you use baking soda for facial cleanser? Is it safe, and does it work?" Here are your answers. You may be wondering whether it’s safe to use baking soda on your skin; after all, it can be used to clean bathroom tiles and drains. Is it okay to expose your face to baking soda? The answer is yes. From cosmetic scientists to leading acne resource guides, the safety of using baking soda on your face is not disputed. Some people have more sensitive skin than others, so there are occasional reports of redness, itchiness, and a burning sensation from the use of baking soda washes or masks. In most cases, using less baking soda (or diluting it with more water) will lessen or eliminate those discomforts. Baking soda’s role in skin health is primarily as an exfoliant. We exfoliate to remove dead skin cells, thus preventing them from building up on the surface of the skin. Exfoliating clears pores and leaves the surface of the skin feeling smooth and healthy. There are two kinds of exfoliants: chemical (which gently burns off the outer skin cells) and physical (which buffs those same cells off by scraping or peeling). 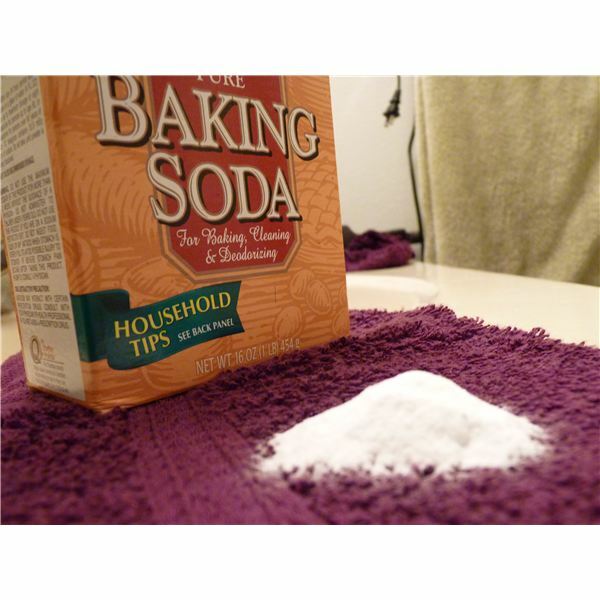 For a baking soda facial cleanser, simply add a small amount of baking soda to your regular face wash. Mix it together in your hand, and wash your face as usual, being sure to rinse very well and follow up with a light moisturizer. This can be done every day with a small amount of baking soda, or once or twice a week if you use a higher ratio. 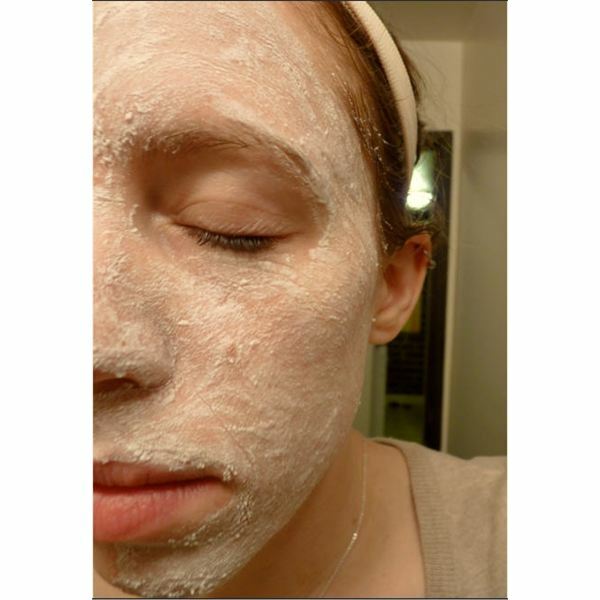 For a baking soda mask, combine baking soda and water to create a paste. Apply to the skin, leave on for a few minutes, and then thoroughly rinse to remove. Apply a moisturizer. (It’s okay if the mask gets hard and crackly. When it dries to the skin, it will latch on to the cells around it, thus removing dead cells and dirt when you rinse it off.) Doing this too often could dry your skin out, so try starting just once a week and adjust from there, according to your own skin’s reaction. Some people report slight feelings of tingling, itching, or burning when they apply baking soda to their face, but for most, it’s not enough to cause discomfort. Everyone’s skin is a little different, so it’s possible that people who have stronger reactions to the treatment are simply more sensitive to baking soda and should try smaller amounts (or try using something else). It’s also possible that they did not apply a moisturizer after using the baking soda. Always moisturize after a baking soda treatment; failure to do so can make your skin painfully dry (to the extent that it flakes off), and will probably not make the experience a positive one. You can use a normal, store-bought moisturizer, just like you normally would after cleansing your face. Or, if you’re also interested in natural, at-home moisturizing solutions, consider rubbing a very small amount of extra virgin olive oil into your skin. In writing this article, I decided to try it out for myself. In my experience, baking soda works great as a skin cleanser and mask! To test these techniques, I washed one side of my face with my regular cleanser mixed with 1 teaspoon of baking soda. To the other, I applied a baking soda mask (baking soda plus water, mixed into a paste), which I let dry and rinsed off after 6-7 minutes. I had a little fun with how goofy the mask made me look (as all facial masks do), but skin-wise, the results are excellent. The side of my face that received the baking soda application is slightly smoother than the other, but both feel much softer than usual. I’m not alone in my approval of baking soda as a facial product. Polling data on Acne.org shows that the average user review of baking soda is 4.4 stars out of five, and 91% of visitors would recommend that others use baking soda for facial skin cleanser, as well. Did you know that baking soda serves many other purposes around the home? You can clean with baking soda, shampoo with baking soda, and do many other things with this affordable, safe, and eco-friendly stronghold of simple living. Photo credits: All copyright Beth Janicek (author); do not use without permission. 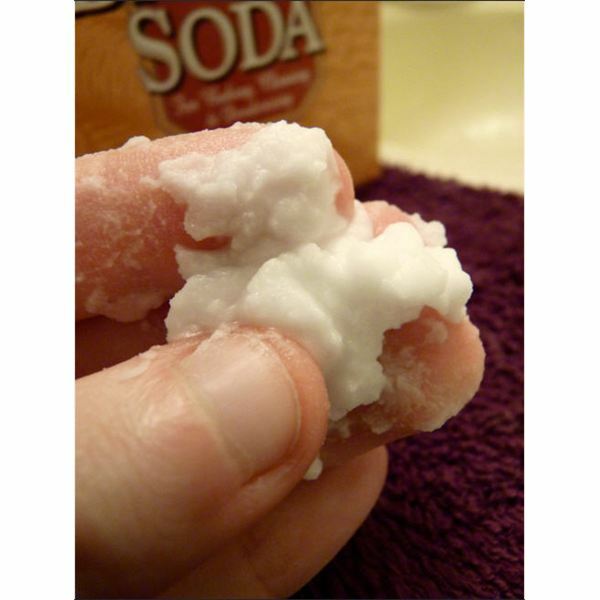 Here are a few natural health tips on baking soda uses for your home, hair, and hygiene. Using Baking Soda and Vinegar: Better than Shampoo!